You have not seen it all until you visit Kigali Today audio visual platform – KT Video, a multimedia platform which is currently recording huge numbers of viewership. With a record of 1044 videos, it might be hard to choose from the pool which video to watch, but here is a few of the videos that have attracted a lot of traffic over the months. 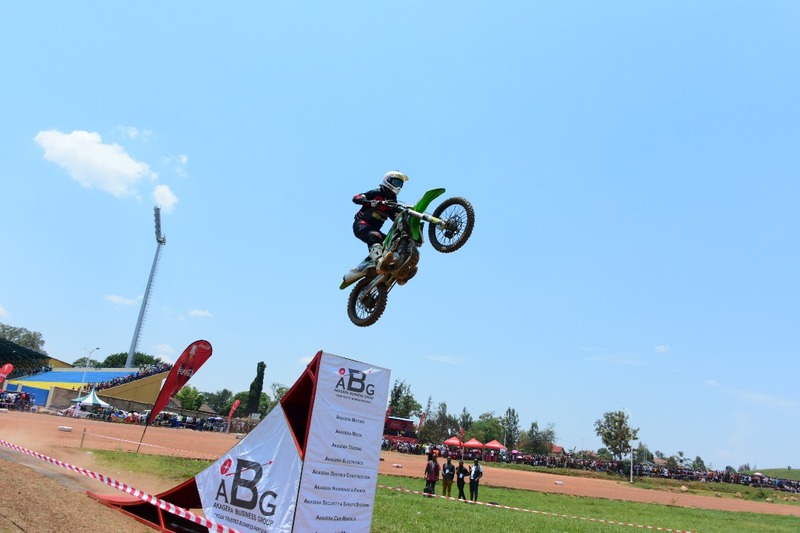 Leading on the list of popular videos is the South African motocross riders thrilling fans as Rwanda marked the 31st edition of Huye Rally which is held in the memory of the late Claude Gakwaya, one of the best Rwandan rally drivers, who died in a motor accident in 1986. Using off-road trial motor bikes, South African stunt riders line up 6 participants and ask them to lie down face up in a straight line, and unaware of what next but only trusting they are safe, and the riders know what they are doing. One of the stunt riders speeds closer to the head and returns with a jump over them. This is mixed stunts of flipping the motorbike tires over the heads of each. There are many cameramen at the Huye scene, but for this KT video, the man behind the video footage and editing, is Junior Derrick Sesonga, a graduate in multimedia studies and one of the three videographers at Kigali Today Ltd.
“We basically focus on human interest stories, on top of entertainment. Our line is to go out to the field and search for stories… hear from the ordinary citizens. We bring out that unique story that is rare in TV and other mainstream platforms,” said Richard Kwizera head of multimedia. Published in November 2017, the video overtook the content Kwizera’s crew had produced before, and made a 1 million view record within only three months. Published as early as 2013 when the company was barely 2 years old, this video features Uganda’s Queen of Comedy Anne Kansiime and Eric Omondi, a celebrated comedian from Nairobi. This entertainment was the first of its kind in the capital Kigali. Both comedy stars were only known on Youtube, but when they descended on Kigali, they attracted a very huge audience at Car Wash. It doesn’t happen too often but when it does, it can mean double bliss and a lot of second-glances. When identical twin sisters Bukuru Cecile and Butoto Jeanette met identical twin brothers Bukuru Alphonse and Butoto Jean Claude in 2010, they could never have guessed just how much of their lives would be based around perfect sets of two. History was written in Rwanda on 23rd November 2013 when two identical twin brothers decided to marry two identical sisters. Everything was identical, including names, cakes and honeymoon venue. It was all glamour and pomp on 30th November 2013 as Rwanda’s musician Thomas Muyombo aka Tom Close and his long term fiancée Ange Tricia Niyonshuti got married. This Video segment takes you through the religious and reception functions of the wedding. Meanwhile, KT Video stands among the best channels to watch. The channel has over 56,000 subscribers who ask for direct and constant updates of the post on their devices and is the biggest in terms of subscribers in Rwanda. The channel’s biggest fan base is in Rwanda (40%), followed by USA (13%), Unknown region (12%), Kenya (4%), Canada (3%) and others. Kigali Today Ltd Managing Director, Jean Charles Kanamugire says that this achievement is a pace setter for branding the company with targets to achieve more, in a market which remains virgin in media video content.